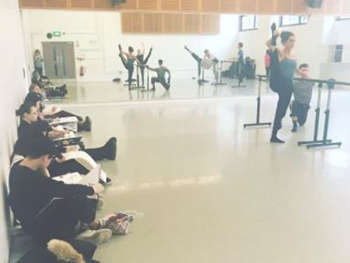 BA (Hons) Illustration students have been invited to work with DanceXchange to create a pop-up exhibition of ‘work in progress’ at Birmingham Hippodrome. DanceXchange is a Birmingham-based dance organisation that works in collaboration with artists and dance companies to make and show great dance. 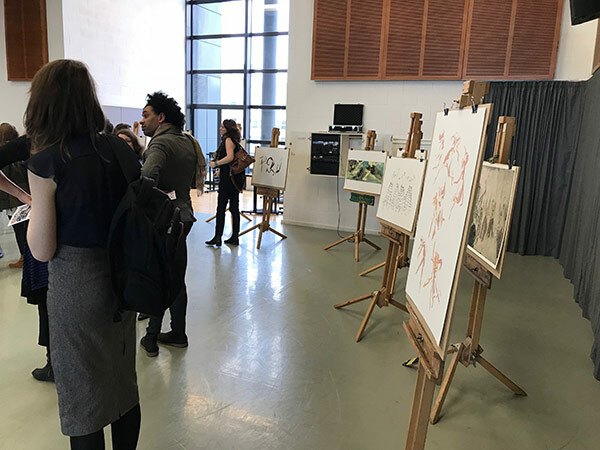 A partnership between DanceXchange and Birmingham City University has provided an exciting opportunity for Illustration students to visit the studios and work alongside their Associate Artists. 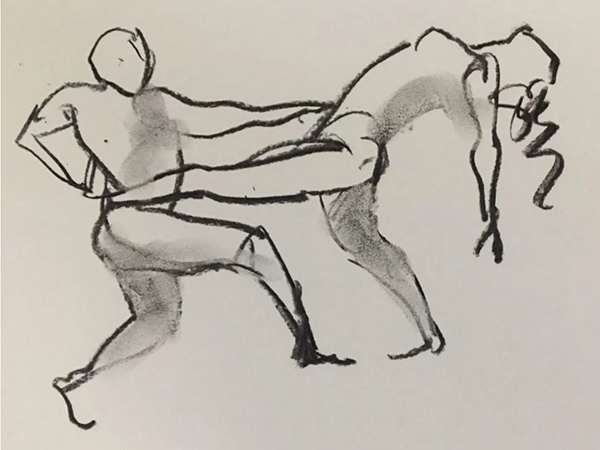 Nine second year and two third year students have been working with Dance companies, Humanhood and DeNada Dance Theatre to create drawings and sketches of the performers at work in the DanceXchange studios. 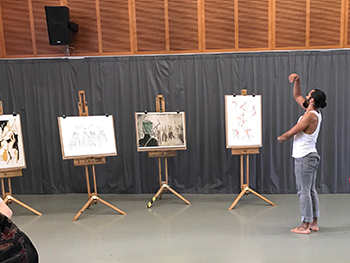 The Dancers from DeNada Dance Theatre were preparing for their performance of ‘Toro: Beauty and the Bull’ when Illustration students were given the opportunity to join the rehearsal to create sketches of the artists in movement. The drawings were then displayed in a pop-up exhibition in Birmingham Hippodrome for the Toro World Premiere. As part of the project, students will also have the opportunity for their work to be made into a limited edition tote bag. The tote design will be chosen by a judging panel and will then be created exclusively for the Birmingham International Dance Festival in June. 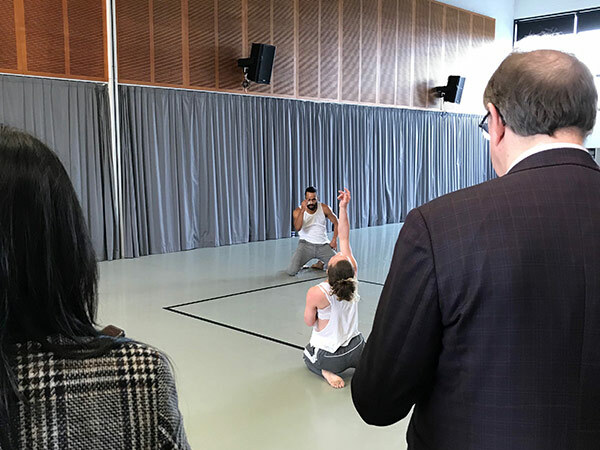 For the duration of the Birmingham International Dance Festival, there will also be an exhibition in BCU’s Parkside Building, home to the School of Visual Communication. 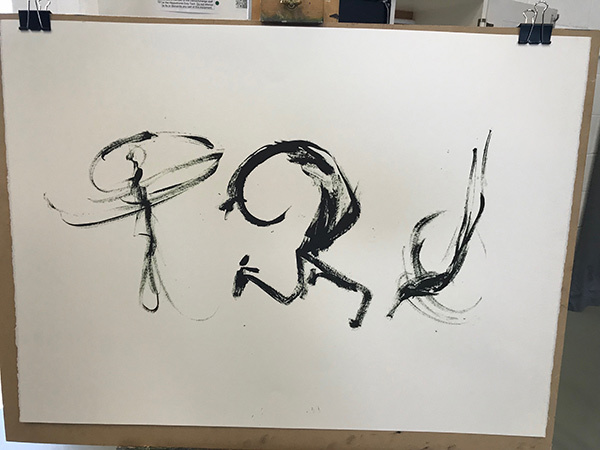 The exhibition will feature works from both Humanhood and DeNada Dance Theatre, as well as the work from Illustration students, including the sale of the Festival’s tote bags. To see more work from the Illustration students, have a look at their Instagram account @bcuillustration. Birmingham International Dance Festival 2018 takes place 1-24 June. Visit www.bidf.co.uk for more information and follow the festival @BhamDanceFest. The winning ‘art tote’ design will be announced shortly and will be available for purchase during the festival.